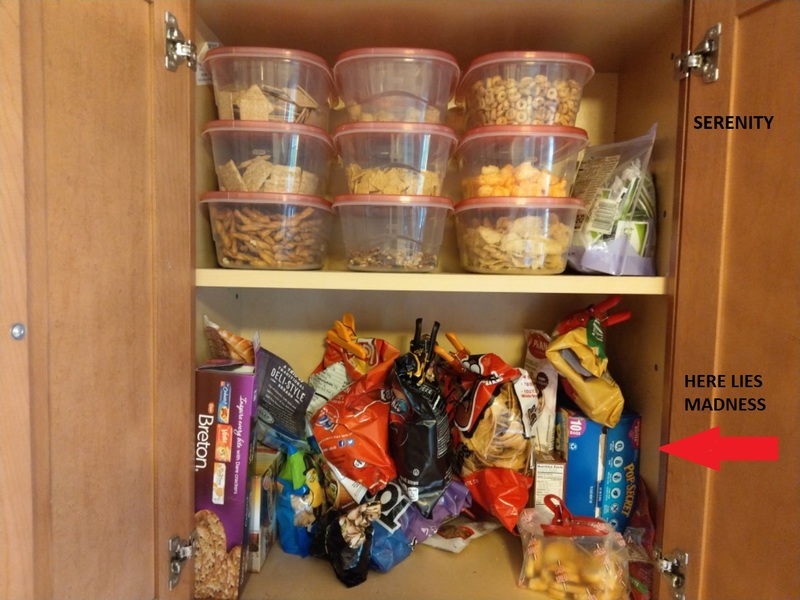 We have an extremely small pantry. 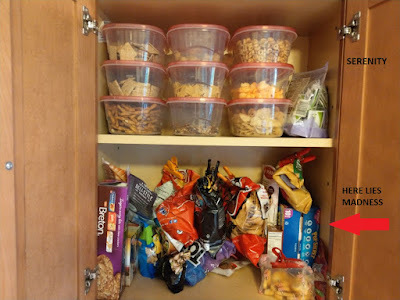 I am a lover of snacks, usually crunchy, but I couldn't find my snacks in the tiny pantry. So I embarked on a sanity restoration project. Opportunity lies above. Sheer chaos and possible revolution lies below. To eat cake, you must first be able to find the cake.